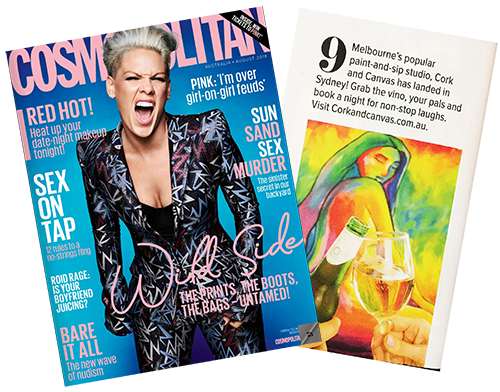 Cosmo names Cork and Canvas as its number 9 top pick and purchase for the month of August! And would you believe that Melinda, founder of Cork and Canvas originates from Philadelphia, and lived only one block away from this month’s covergirl, Pink! In fact, Melinda’s family considered buying Pink’s family home over 20 years ago, before Pink became famous. See Cosmopolitan Magazine, August 2018 edition, page 12.